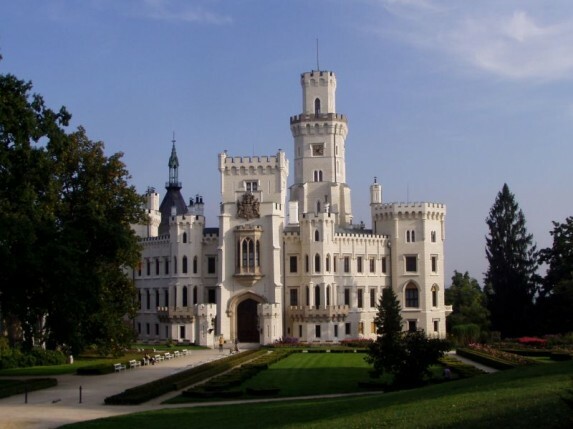 You must see the beautiful castle Hluboka nad Vltavou in South Bohemia, 150 km from Prague. Firstly, you can admire this historical jewel. Afterwards, take a walk around the magical lake to the nearby ZOO. You are guaranteed a great time. The closest large town is Ceske Budejovice just 10 km away, the hometown of our famous Budweiser beer. This castle was for a long time my number one choice wedding venue. However, after seeing the reality I backed away. Sure, the place is magical and romantic but after I saw one wedding group coming out of he chapel followed closely by a second one going inside and a third one already waiting in line… wedding guests may not be so sure as to which party they belong to, so I lost my enthusiasm. But don’t worry, ignoring the wedding business, Hluboka is the place where I always go and will always return to. Imagine, a small town hidden in greenery, surrounded by ponds and lakes and a magnificent white castle straight from a fairy tale right on the hill above. In general, south Bohemia is a very clean and green part of Czech Republic. In the past, the land was mostly agricultural, so the nature didn’t suffer from heavy Industry. Hluboka used to be owned by the Schwarzenberg family (a member of their family is Karel Schwarzenberg, currently the Minister of Foreign Affairs in CZ). We call it Schwartzenbergs land because Hluboka used to be owned by the family and they sure knew where to own their estates! When you visit Hluboka, you have to find parking in the town. Cars are only allowed up to the castle if you are a guest at the Hotel Stekl 4* which is built in the same style as the castle. The gardens around the castle are beautiful and huge, make sure you walk around the back of the castle to a beautiful view that overlooks the whole countryside. The inner courtyard of the castle is decorated with deer antlers hanging on white walls. It is here that visitors are awaiting their turn to go for a castle tour. Group tours are run in: English, German, Russian, French, Spanish and Dutch. Hluboka castle has so much to show, its like going back in time. All the furniture and decorations were preserved and well looked after and even my small children found it entertaining and educational. What Marcus loved and gasped over was the armoury. After we came out we refreshed ourselves with beer in another courtyard. We very much appreciated the fountain in the middle of the courtyard that kept boys entertained. After the castle tour we walked around the lake to the other side of the town, to check out the ZOO. Its a pleasent 2 km walk. Many people visit Hluboka region on bikes, so they can slowly pedal around the beautiful land. I used to do this when I was in my teens and have very refreshing memories. So if you ever planning to visit Ceske Budejovice or Cesky Krumlov, both popular tourist destinations, remeber to stop by Hluboka. You can see it from the main road heading towards Ceske Budejovice and it will not take up much of your time but is worth the visit. 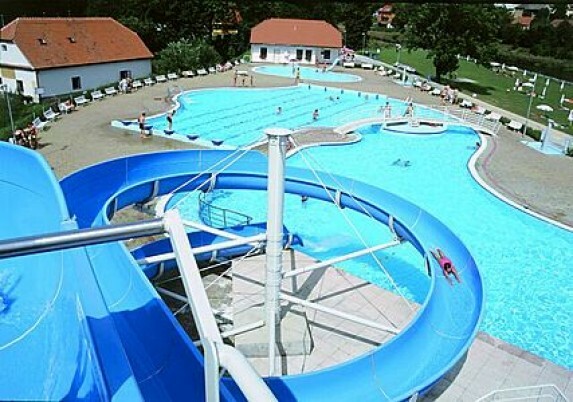 If you are lucky enough to go there during hot weather, you can also take a dip at the outdoor swimming centre right at Hluboka. DIRECTIONS: Visitors can easily get to Hluboká by public transport – especially buses. On weekdays, buses leave the bus station in České Budějovice for Hluboká nad Vltavou every thirty minutes. In Hluboká, buses stop at the bus stop below the church, less than 500 metres from the Chateau. On Saturdays and Sundays the bus service is less frequent. There are two train stations at Hluboká nad Vltavou, the first being on the České Budějovice – Prague route, and a distance of 3 km from the Chateau, and the other route is České Budějovice – Plzeň, the station of which is a distance of 5 km from the Chateau.